Appalachian StoneCraft is a custom stone masonry company based in the mountains of Western North Carolina. We specialize in all things stone and can handle anything from small repairs to huge designer homes. We are versed in both mortared and unmortared stonework so if you're looking for joints or if you prefer the more traditional look of dry laid stone it can be done. 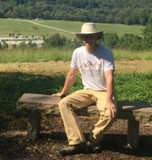 Any size job is welcome at Appalachian StoneCraft from giant landscape changing retaining walls to small intimate fire pits and everything in between. If it can be made of stone, it's what we do. Natural and manufactured stone veneer, flagstone pathways and porches, beautiful hearth rocks, fire places, chimneys, repairs, removal, hardscape, Appalachian Stonecraft does it all. We don't just do the standard meat and potatoes work; we love to take on new challenges, learn new styles, patterns and techniques. Don't be afraid to call us with your unique and innovative projects. We won't shy away from any project you can dream up. "Never been done before" is just the way we like it. Appalachian StoneCraft came about it 2016 as a proper entity even though we've been in and around the business for 10 years. We have experience in many other areas of construction outside of stone masonry which helps us work as an independent unit or part of a large team with many moving parts. We know how to make sure everyone is working toward the same goal and that it's what the client wants. We have 15 years of experience in stone and stucco installation. 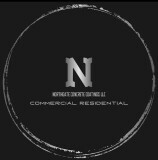 We work with both commercial and residential builders as well as individual home owners. Our levels of work range from $100K homes to $3 million retreats. Samson Stone has been recognized as a "Preferred Installer" for many high exposure projects and we were featured on DIY Network's "Man Caves". We have been chosen as the select installers for the following award winning projects: ◾2007 Southern Living Showcase Home ◾2008 Southern Living Showcase Home ◾2009 Cliffs at Walnut Cove Wellness Center ◾2010 Greenville Rec Camp Spearhead ◾2010 Inspiration Home ◾2010 Southern Living Showcase Home ◾2011 ITOR Designer Showcase Home ◾2011 KROC Center ◾2011 Homes for Hope ◾2012 Inspiration Home ◾2013 Southern Living Showcase Home ◾2013 Homes for Hope ◾2013 DIY Network "Man Caves"
We at Unique Concrete Design LLP provide our customers with uniquely designed surfaces that significantly improve the safety and appearance of their existing floor surfaces. We have over 18 years of experience in working on a variety of property types. Designing and installing one-of-a-kind custom surfaces has allowed us to be Unique at customizing your idea with our design. Our Decorative Concrete designs come in an variety of attractive customized colors and textures which are individually selected based on our customers' specific needs. We offer our services to all the surrounding cities in the Upstate of South Carolina. Aesthetic Concrete has the answer to all your concrete needs. We specialize in flatwork and decorative concrete work with a focus on stamping and acid stain. We have been providing outstanding quality and workmanship and can service virtually all types of concrete surfaces, such as driveways, walkways, patios, interior concrete floors, and so on! Please contact us to discuss your project! Just Concrete specializes in all aspects of decorative concrete including acid staining, acrylic staining, epoxy coating, concrete etching and engraving. Super Landscape Supply is now Big Rock! A family-owned business for over 25 years, Big Rock carries the highest quality of natural stone, hardscape materials, sod, mulch and masonry supplies. With Big Rock, you can count on receiving dependable and friendly service from our knowledgeable staff and on time deliveries from our fleet of delivery trucks and experienced drivers. Experience the Big Rock difference for yourself! Call us today at 864-236-9300. Gran'ide Stone Works manufacturers the best veneer stone products in the industry. Our products are a builders dream to work with: strongest PSI rating and lightweight compared to the competition. A family owned business, our priority is always a positive customer experience and satisfaction with your product. The unique coloring process we use ensures a long-lasting authentic stone look. Each stone use made to be the exact replica of an actual stone we selected. We also offer a unique Cluster Stone TM technology which is perfect for contractors & landscapers for a quicker application process. Our stone products are manufactured in Campobello, South Carolina. Integrity Concrete, LLC is a newly formed company with over 10 years of experience in foundation walls, residential and commercial properties, flat work, decorative and staining. Often called in as a finisher or a foreman by many companies over the years has given Integrity its place of standing. Experiencing each concrete trade has unlocked a mass of understanding to tackle any challenging job. With Integrity, you can be confident knowing that every job is our most important one, always striving for excellence and delivering our absolute best. Established in 2004. The founder of the Company is Anatoliy V. Cholak after whom it is named. When working with Natural stone the ( weight, difficult installation and expense ) has brought him to the sense of making a light weight, installer friendly and four times less expensive. When making stone our skilled craftsmen and artisans kept in mind that when taking Natural stone for processing, to keep it natural when it comes out in lightweight veneer. We offer a product that is as natural as it gets the texture of stone is not only on the surface, but around the entire stone. (Unlike the rest of the Industry). Our artisans hand picked tons and thousands of stone to bring you the stone of Natural texture and Undeniable beauty. All our stone surfaces look and feel exactly like the natural stones from which they were molded , even to the smallest detail. Come to Acosta's Stone Work when only the best will do. Get high-quality workmanship for all masonry, stone, and hardscaping projects at a price you can afford. It's time to start building your dream yard. Premiere Concrete is a full service concrete company serving Greenville, SC and Spartanburg, SC since 2000. We specialize in everything from concrete driveway services and concrete slabs, to decorative concrete that includes acid stained concrete. For all of you Concrete needs! We specialize in pre existing concrete. With out proprietary decorative concrete overlays, we transform ugly concrete into beautiful works of art for less then you may think. Need a new slab poured, we can install and decorate it for you! At Xtreme Concrete Services, our goal is to bring you quality workmanship at an affordable price, and make the process easy and enjoyable for you. We are a full service Concrete Contractor. We also provide Bobcat Services. Our superior craftsmanship, attention to detail, clear communication, honesty and integrity will guarantee your satisfaction at the completion of your project. We have a written 1 year warranty that will be issued at the completion of your project. With 25 yrs experience, we truly are your concrete experts. Lets discuss your ideas! Your free consultation is just a phone call away. Since 2006, Dunnrite Excavating has served the Upstate with quality and professional services including concrete, septic/sewer management and a wide variety of site work. We pride ourselves in providing our customers with exceptional work at an affordable price. With over 13 years of experience our company believes in customer satisfaction foremost. We believe in honesty and our job is not done until our customers are happy. From installing new exterior columns to repairing your chimney, masonry contractors can help you add both visual appeal and value to your property. They’ll know what kind of installation makes the most sense for your Pendleton, SC climate and regional style. Looking for something that will develop a patina with time? Or would you rather have your home feel brand new for years to come? Choosing the right kind of stone involves thinking about the future, too. Experienced brick suppliers and stone suppliers can help you find the material that will work for your home now and for years to come. These professionals aren’t limited to exterior work either. Whether you want a split-stone granite wall in the kitchen or need help installing traditional brick masonry on your fireplace facade, you’ll want a professional to get it right. If you’re already working with an architect or designer, he or she may be able to suggest a good Pendleton, SC subcontractor to help out. Here are some related professionals and vendors to complement the work of stone, pavers & concrete: Landscape Architects & Landscape Designers, Architects & Building Designers, Garden & Landscape Supplies, Driveways & Paving, Siding & Exteriors. Find stone, paver and concrete professionals on Houzz. 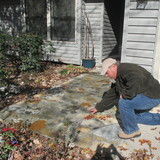 Search the Houzz Professionals section for Pendleton, SC stone, paver and concrete professionals. Browse photos and read reviews, and contact a pro if you like their work.